Lemon Press have the first operational Heidelberg Speedmaster XL75 5 colour and coater lithographic printing press with Prinect Inpress Control in the country. The installation of this press means that Lemon Press can continue to deliver an unrivalled lithographic printing service for our customers, offer competitive pricing and remain at the forefront of the printing industry. Heidelberg Speedmaster XL75 has innovations such as the Prinect Press Center give us optimum colour matching and quality control because of the integration of measurement systems, such as a spectrophotometer. The press continually measures colour, ink consistency, quality and gives high register precision throughout each print run. After each lithographic printing job it offers a reporting option giving a detailed profile of the print run. The Heidelberg Speedmaster XL75 printing press is all about providing optimum quality to Lemon Press customers. 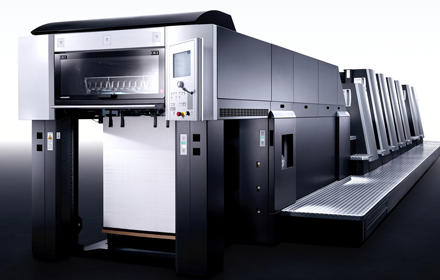 Heidelberg Speedmaster XL75 can produce up to 18,000 sheets per hour and new innovations, such as the Prinect Inpress Control, increases productivity by around 30%. Our lithographic printing press has a fully automatic set-up, high production stability even at the fastest speeds, reduces make ready times and creates less make ready waste. It offers a level of performance that has never been seen before. These faster make ready times, higher running speeds and production stability means that the Heidelberg Speedmaster XL75 can guarantee Lemon Press quick turnarounds and offer highly competitive prices time after time, without compromising on quality.